Grotta & Associates, P.C. focuses its practice on providing aggressive, personalized, thorough and complete representation for clients involved in contested divorce and child custody cases in Illinois. 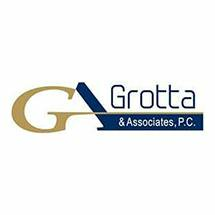 Grotta & Associates, P.C. focuses its practice on providing experienced representation in the area of divorce and custody law. There are times when an unreasonable and a formidable opposition or spouse makes it very difficult to settle your disputes, and you need a strong advocate to protect your rights and present your case. Our firm's approach involves taking an aggressive stand in fights that should be fought. As your legal representative we make sure that you understand the potential consequences of each choice. We carefully review each option with you, keeping you informed and helping you make the decisions that will lead to the best possible outcome. Open communication with our clients is crucial because the best result can only come through working together. The first priority of our firm is the client. We understand the stress that you feel when confronted with matters like divorce and child custody. We will do everything we can to make your experience with the legal process as free from emotional frustration as possible. We want you to feel comfortable and to establish a trusting and productive relationship with you. When confronting a contested divorce, custody battle, property fight or seeking to have a previous court order modified, it is the time to seek Grotta & Associates, P.C. Thomas E. Grotta & Associates, P.C. Grotta, Krydynski, & Frigo, P.C.